Hanami Japanese restaurant serves delicious, fresh Japanese food. 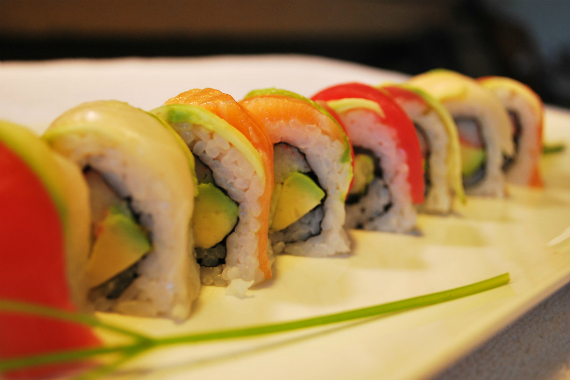 Voted 'Best Sushi' & 'Best Japanese Food' by The Diamondback for five years in a row! "One quick way to make a good day a great day." "We'd love to hear some of your favorites!" "Join us on an exciting undersea experience -- no scuba gear required!" "Roll on by and see us, College Park!" "If you haven't tried this dish yet, you're missing out." Nice little Japanese restaurant. Kid friendly, very good food. A regular spot for a quick family dinner. Try their combo box with chicken teriyaki. It's one of best dishes in the restaurant. Yes, I'd like to receive news from Hanami. Sign up for the Hanami Newsletter!